The Committee on Foreign Investment in the U.S. has green-lighted IBM’s sale of its low-end server division to PC maker Lenovo. The China-based Lenovo is spending $2.3 billion for the X86-based server business and it may represent the biggest technology deal in China’s history of a state-owned company. «Lenovo can confirm reports that CFIUS has cleared its transaction to acquire IBM’s x86 server business and the companies have completed the regulatory process in the United States,» Lenovo spokesperson stated in a news report. The news comes as many U.S. firms are under scrutiny by Chinese regulators for potential anti-trust concerns and as China is taking U.S. tech firms off procurement lists. There is also increasing tension of cybersecurity worries by China of U.S. federal agency activity. The deal gives IBM the opportunity to focus on higher-end strategic missions such as its data analytic efforts and recent move into the healthcare sector given a partnership with Apple. Lenovo, for its part, gets a bigger share of the hardware market and deeper footprint in global computing. Lenovo is also looking for approval of its deal to buy Google’s Motorola Mobility business. That $2.91 billion acquisition is still under review by national security agencies. 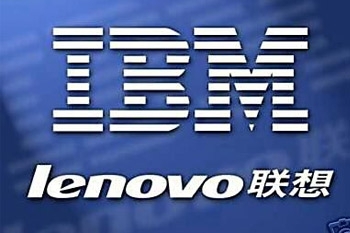 As Tech Times reported in early July China regulators had signed off on the Lenovo-IBM deal. Lenovo CEO Yang Yuanqing has stated he hopes to have the deal completely finalized by year’s end. At the time he stated he didn’t expect issues with approval from the U.S. as the U.S. government has long been a client of Lenovo’s.